This article contains Spring Boot Profiles Example using properties files. Profile based development is very useful while we have different configuration in development environments and some different environment in production. Here is an example of different port in development while using another port in production. In this example, we have set current active provide using the command line but we can also set active profile programmatically: here is an article to set active profile programmatically. NOTE: application-default.properties which does not mean that we can write default properties in that file. 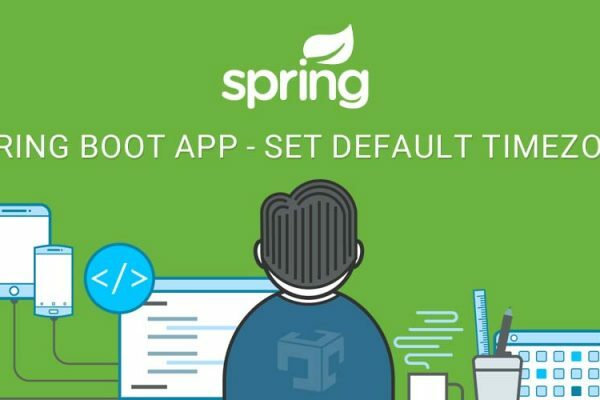 application-default.properties use is only when no profile has been passed at stating of application then all configuration will be consider from application-default.properties file. If want to write some default properties value which will be remain same for all profiles then create application.propreties file and write those default properties over there. If same properties also found in profile-properties file then application.proeprties‘s value will be override. When user will not pass profile at that time application-default.properties will be considered. If not profile will pass then the application will run on 8081 port. When application will start on development profile then it will run on 5050 port. When application will start with production profile then it will run on 6060 port. 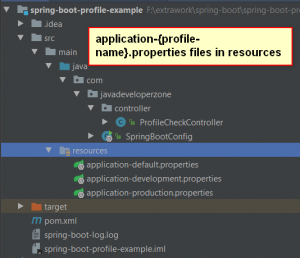 Spring provide org.springframework.core.env.Environment class which contains application configuration from where we can check that which current profile is activated in running application.